Nothing says freedom of expression like wearing your most unique wardrobe at your favorite festival. With spring finally here, it’s time to start thinking about refreshing your style. 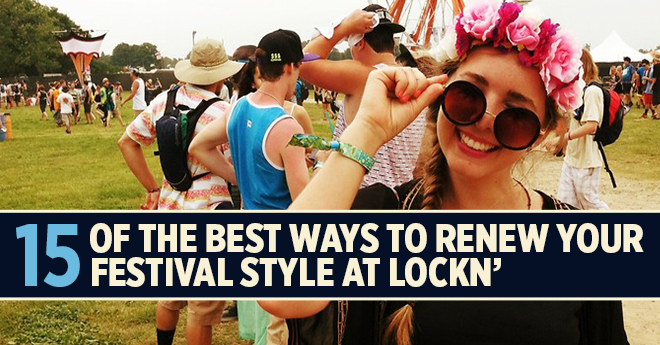 In honor of self-expression and inspiration, we’re bringing you 15 of the best ways to look fly and fresh at this year’s LOCKN’. If you go to a ton of concerts, your closet is probably overflowing with band tees that haven’t seen the light of day in years. Go give those old tees a second chance! To match the bright and fun vibes surrounding you at LOCKN’, try tie-dying a plain white tee. This easy DIY is a classic way to make a boring tee vibrant. You can’t help but smile when you are surrounded by tie-dye! The last thing you want to worry about at LOCKN’ is carrying your belongings in an uncomfortable way. Try making this festival pouch to carry your essentials. Check out a step-by-step guide here. 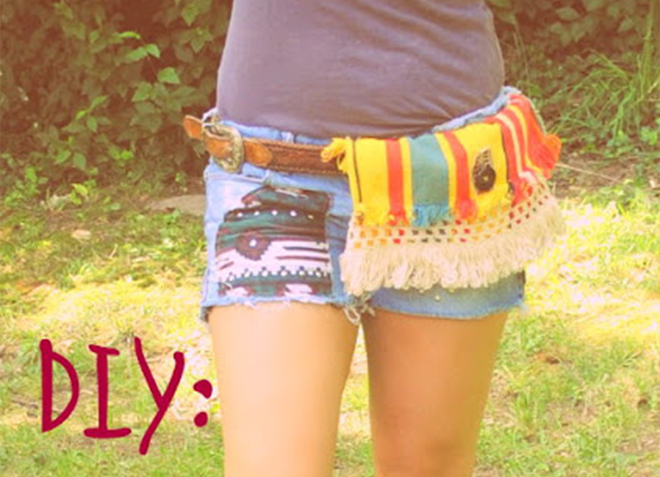 If you want to stand out in the crowd at LOCKN’, this DIY is for you! 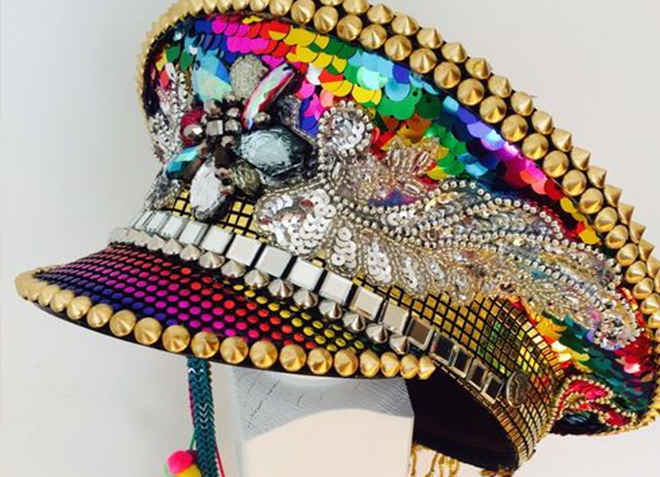 All you need are some funky jewels and gems from your local craft store, a hot glue gun, an old hat, and creativity. Like LOCKN’ fans, no two funky hats are the same. Boots are essential at a music festival, and you can get all of your materials, including the shoes, from thrift shops. 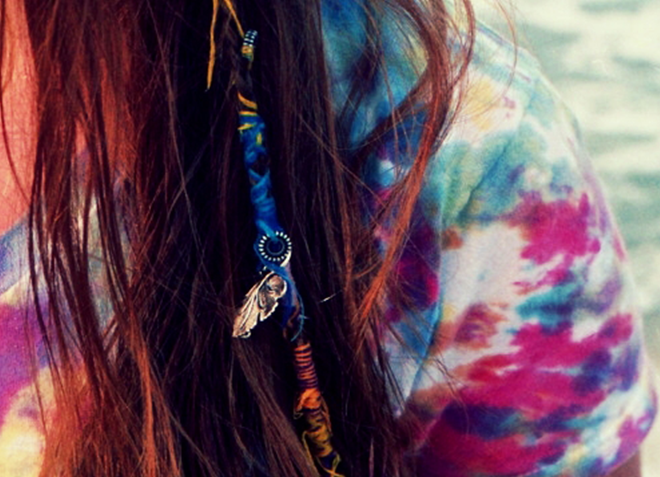 This DIY hair wrap is simple and all you need are some colored strings and beads. Check out a tutorial here. Get creative and use vibrant colors and flowers that expresses yourself. Add some bling to your festival style with these bracelets. You can make them even more unique by adding your favorite charms and colors. 9. Turn a scarf into… anything! Whether it’s a tote bag, kimono, skirt, or vest, you can turn your favorite scarf or sarong into the perfect festival essential! This simple item is sure to shrink your packing list. Grab some old and new friends and get creative. Face painting is a great way to express your creativity at a festival. 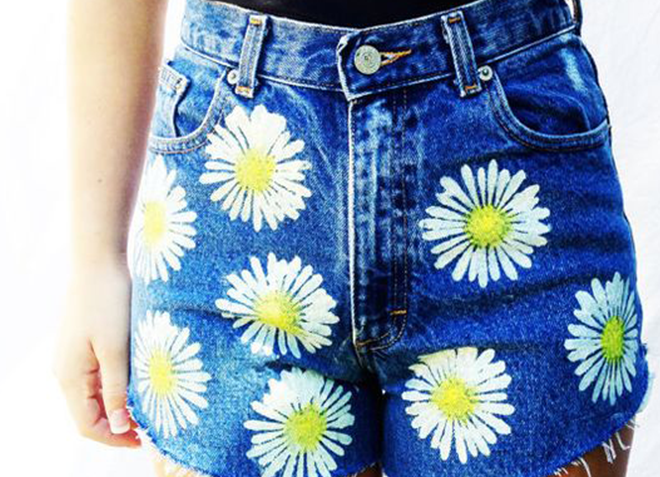 All you have to do for this awesome look is take an old pair of jean shorts and grab some paint. Whether it’s spirals, a lion, or the name of your favorite band, you can show off your style and creativity. If you’ve ever been to a festival, you know that the most important thing is to stay hydrated. 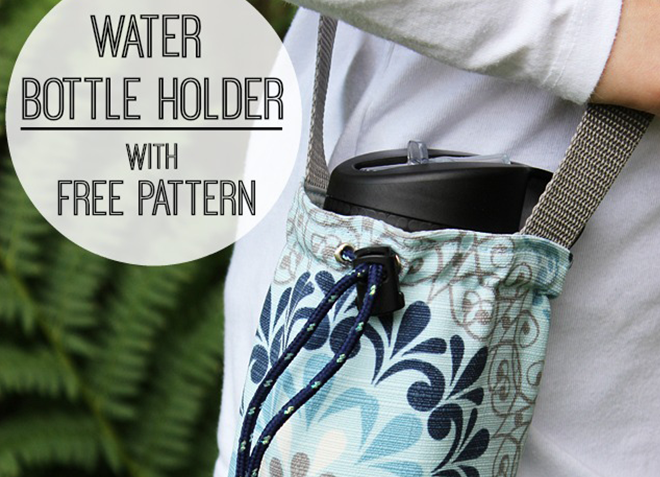 So, why not stay hydrated and look fresh with this DIY water bottle holder? Check out a guide here. 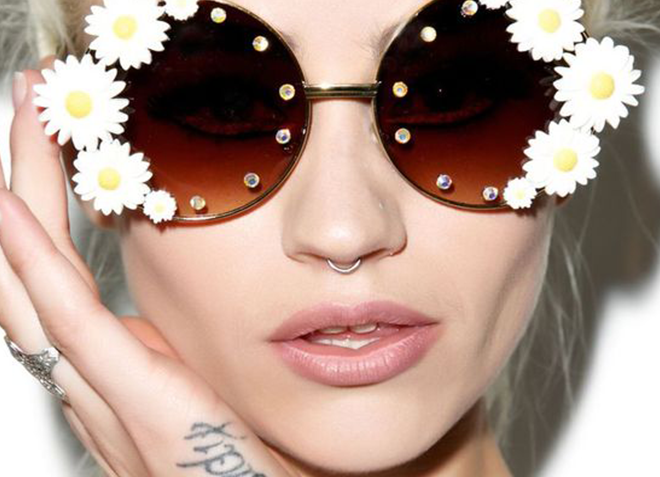 Another festival essential is a pair of sunglasses to shade the sun. Make your own and you’ll be sure to never lose them. Grab some hot glue and beads of your choice from your local craft store. 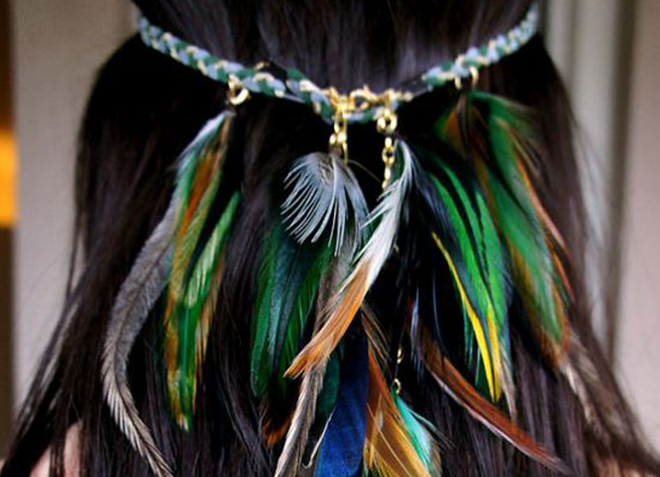 Grab some bright feathers and beads from a craft store and put your personal spin on this festival favorite. 15. Upcycle an old backpack! 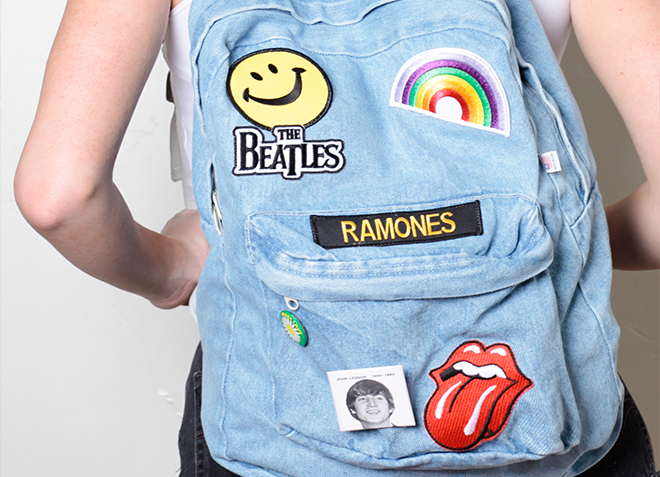 Take your old backpack and give it some personality. Collect some of your favorite fabrics, band patches, pins, beads, etc, and get creative.